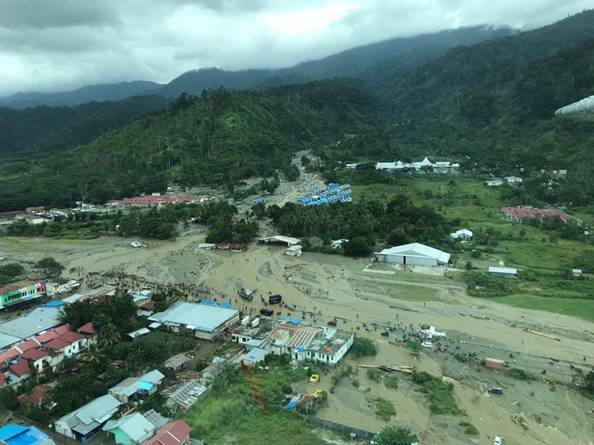 Flooding and landslides in Indonesia’s Papua province (West Papua) have killed 89 people, more than 60 remain missing and 4,100 have been displaced. The number of casualties is expected to rise, as rescue teams face difficulties in accessing remote areas. Although floodwaters are receding, there is a risk of further landslides, as well as residual disruption to essential services, in the coming days. Your donation will help our local church partners GKI-TP support their communities throughout this disaster. In the unlikely event that funds raised exceed the amount needed for this disaster, the funds will be used for UnitingWorld’s Disaster Ready project, building the resilience of vulnerable communities to disasters. To make the best use of our supporters’ donations, and to get the best outcomes for our partners, we invest in good management practices, ensuring the careful planning, oversight and evaluation of our work, as well as clear transparent and accountable use of all funds. UnitingWorld uses approximately 13% of funds raised to pay for the administrative expenses of coordinating projects with our local church partners.